The holidays are over, and at this point you are probably itching to escape from your family! Why not take a break and head to one of the awesome events going on this weekend? Get out of that cramped house for an evening with local favorite and Eddies Attic mainstay Mike Willis! This year Willis brings an onslaught of his talented friends from the Atlanta area and from across the country for a one-of-a-kind show. Show starts at 7:00PM. General admission tickets are $10 in advance and $15 at the door. Table seats are $12.50 in advance and $17.50 at the door. Ashanti Floyd – aka The Mad Violinist – is a five time Grammy nominated violinist, composer, and producer. As if that wasn’t enough, he also plays part time for Lupe Fiasco. Floyd teamed up with guitarist Matt Barrett to form The Symphony Crack Orchestra, and their unique style has attracted broad audiences internationally. Doors open at 8:00PM. Tickets are $10 in advance and $12 day of show. Online and phone sales end at 2:00PM day of show. Delta Moon’s music is a strong mix of personalities and sounds. A chance meeting in an Atlanta, GA music store brought the two founders, Tom Gray and Mark Johnson, together. With a live show second-to-none, the dual slide guitars of Delta Moon carry the listener deep into the heart of the American South. Doors open at 6:00PM. Show starts at 7:00PM. General admission tickets are $12 in advance and $16 at the door. Table seats are $15 in advance and $19 at the door. Online and phone sales end at 5:00PM day of show. Soulphonics & Ruby Velle are a modern R&B group based out of Atlanta, Georgia. Lead female vocalist Ruby Velle is backed by a solid lineup that includes a three piece horn section and rhythm section. Watch them perform the single “Feet On The Ground” live at The Earl. Doors open at 8:30PM. Show starts at 9:00PM. Tickets are $10 in advance and $12 day of show. Online and phone sales close at 6:00PM day of show. Check out The Swinging Richards at Smith’s Olde Bar, with Chattahoochee Chain Gang and The Western Sizzlers. Doors open at 8:00PM. Tickets are $12 in advance and $15 day of show. Online and phone sales end at 2:00PM day of show. The Mystiqueros formed in early 2007, and their debut album Diamonds in the Sun was followed with critical acclaim, gaining considerable airplay on XM and Texas radio. Come out to The Auslander and watch the band perform your favorite songs! Doors open at 6:00PM. General admission tickets are $15. Online and phone sales end at 5:00PM day of show. 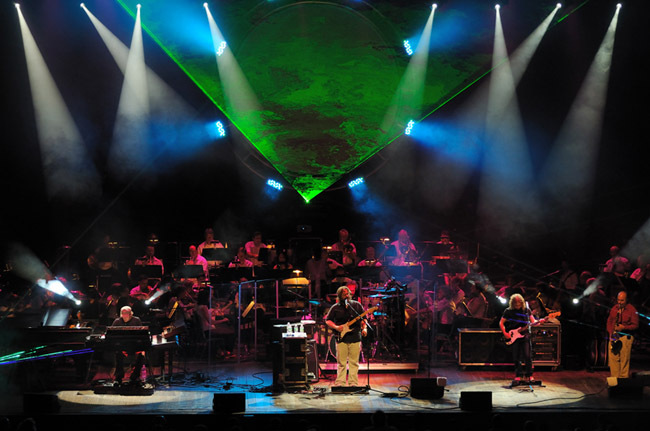 The Machine has been labeled as America’s top Pink Floyd Show, selling out theaters and shows throughout the country. The New York based band focuses on making every show an authentic Floydian experience for their fans. Their stellar musicianship, dramatic lighting and video, and passionate delivery sets them above and beyond the rest. Doors open at 7:00PM. Tickets are $20 in advance and $23 day of show. Online and phone sales end at 7:30PM day of show. Born and raised in Atlanta, Brian Webb got his start 13 years ago at Eddie’s Attic. This weekend he returns to the venue for a show with fellow Atlanta musician Lindsay Jarman. Doors open at 6:00PM. General admission tickets are $10 in advance and $14 at the door. Table seats are $12.50 in advance and $16.50 at the door. Online and phone sales close at 5:00PM day of show.